Full Description: From the Ruth Askew Collection. 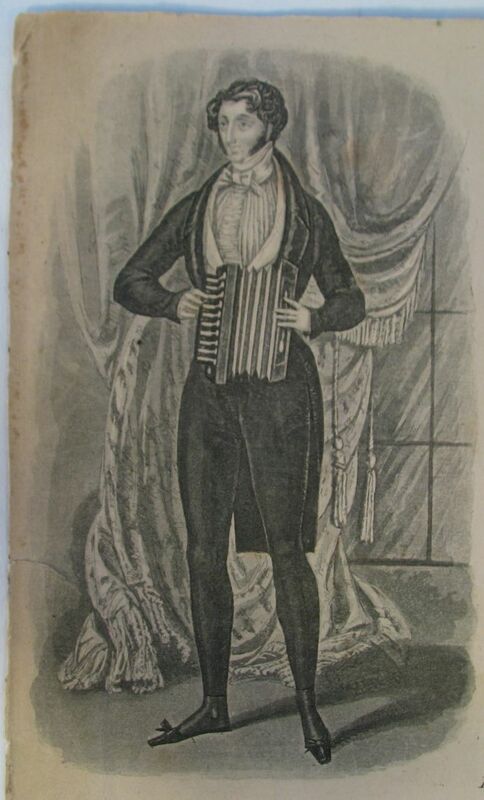 A large and original cover from an 1835-40 period Accordion Tutor, published by: Keith, Prowse & Co, City Royal Musical Repository, 48 Cheapside, London. 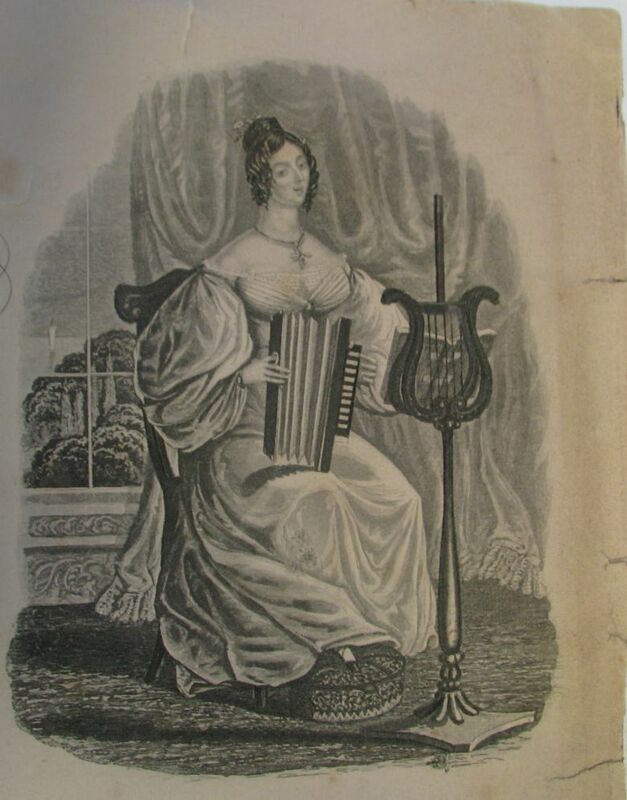 The large double page, 332 x 257mm, has a large image of a 10-key Debain-style French-made Accordéon, with the Keith, Prowse & Co stamp upon it, and two further vignettes of a standing gentleman and a seated crinolined lady, each playing 10-key instruments. 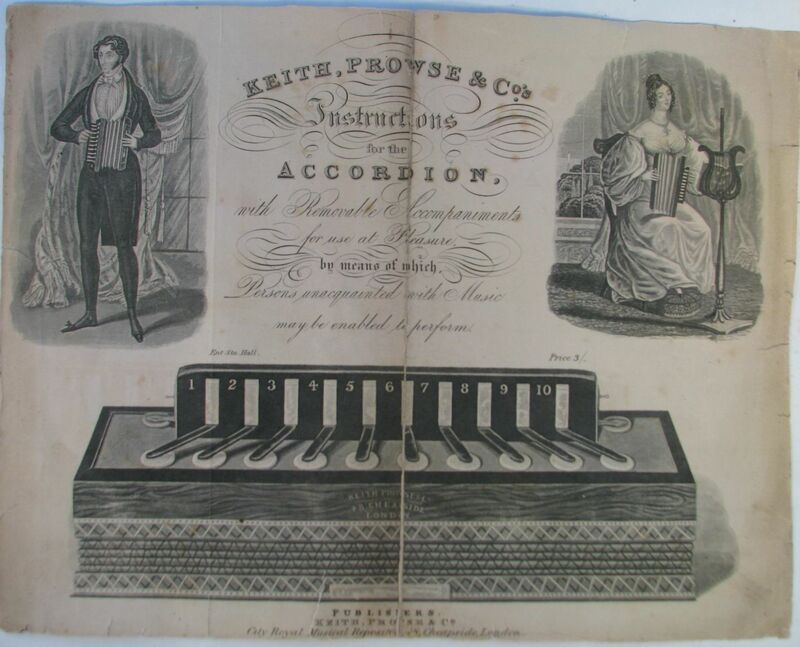 The Tutor is entitled "Keith, Prowse & Co's Instructions for the Accordion with removable accompaniments for use at pleasure, by means of which Persons unacquainted with music may be enabled to perform". 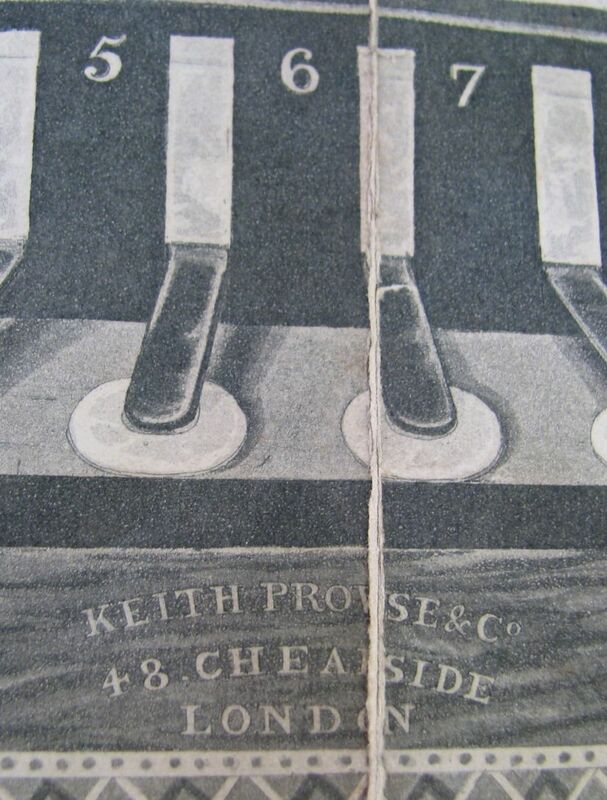 The Concertina Museum Collection has similar Keith, Prowse-stamped French accordéons to those illustrated - see Section C15.3 .